my first giveaway win, unsolicited compliment, & sneaky peek! Also as a side note I got my first non-friend or family compliment on a me-made item today; ironically the baby doll blouse I blogged about here. 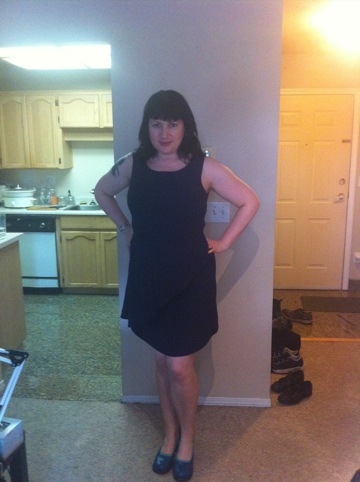 I did make it small enough to wear and it’s the only me-made I’ve worn to work… and voila! 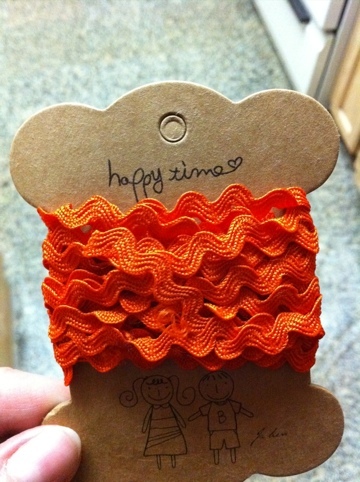 compliment from my boss’ fashion savvy wife; I didn’t tell her I made it, though cause I’m really not proud of it lol. It was tough because I have a ton more that I want to make but I wanted to keep it simple, and be practical so that I can ensure that I finish everything. I decided to keep it to four pieces for now, incorporating the items I’m making for Sew Colette. 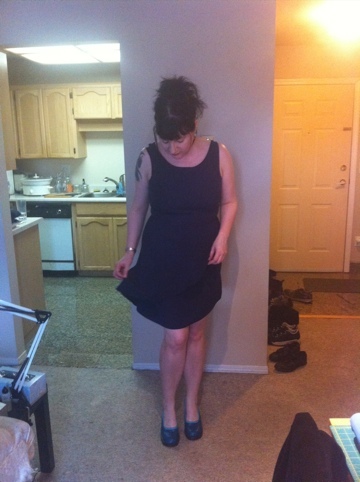 Finally completed the March challenge of Sew Colette: The Truffle Dress!! I learned a lot on this challenge as well: how to install a facing & attach it to a zipper mostly. I also experimented with using spray starch to stabilize my fabric; a VERY fray-prone, slippery dress weight rayon. I lined the bodice with cotton batiste and I really like the feel of it. My very favourite season of all is Autumn but there’s nothing quite like the newness of Spring to kick up a girl’s heels and rejuvenate the spirit – the smell in the air here in the Lower Mainland is intoxicating; Japanese cherry blossoms, all manner of flowers, shrubs and flowering trees – enough to delight the senses from dawn til dusk and beyond 🙂 We are SOOO blessed!! All that being said, I’ve been on the prowl for a 50’s style sundress; the kind with wide straps, a straight across bodice and angled pockets, and LO!! Sarai from Colette patterns must have heeded my spirit’s call because what does she reveal in all its glory…..
the absolutely perfect sundress: retro 50's chic meets modern bombshell - STUNNING!! This post is a filler of sorts and an embarrassing way to amuse you loyal blogging buddies of mine… I am about to post some of the most unflattering horrid pictures of myself, in hopes you may get a chuckle too lol – I know I did! Some of you may be familiar with Christine Haynes‘ book Chic & Simple Sewing; a lovely sewing book aimed at beginners but with some really cute styles that will appeal to all skill levels. 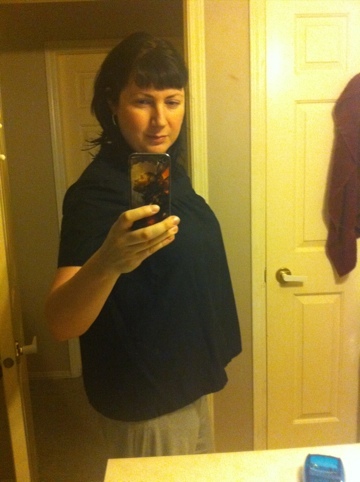 Well I decided, during my beginning stages of fitting the Truffle back in the beginning of march, to make a wearable muslin of the first top in the book; a simple short sleeved, yoked blouse. The sizing in the book is a little limited, but since my high bust measurement matches the bust measurement of the L, and the styles are not overly fitted I figured I could make it work. 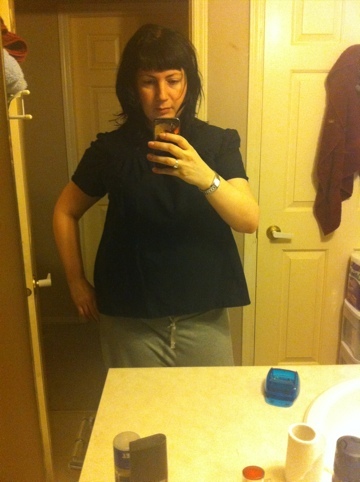 I was diligent enough to measure the pattern pieces at the most fitted part and the bust, to make sure it wouldn’t be too tight (snort) but I did not think to go further than that so I was not prepared for what ensued…..
Ok bad hair, bathroom shots, cell phone self portraits and gray yoga pants aside…. LOOK AT ALL THAT EASE!! I totally look preggers!! Which I most assuredly am NOT – I promise! I kid you not, I took a total of at least 14 inches of ease out of the waist and about 8 off the hips, grading between – and that still leaves the top very loose, not fitted or shaped at all! All in all a valuable lesson… reminding me why I decided to learn how to custom fit garments in the first place… the world of fashion is not made for the generous of bust! 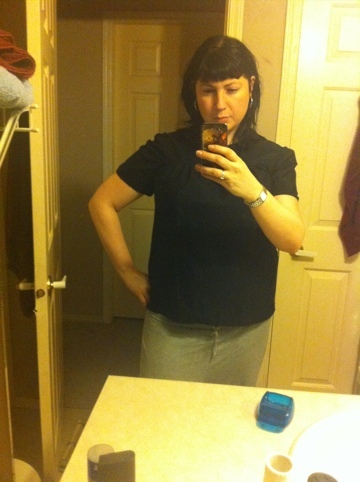 lol… and the moral of the story, kids, is that I should never wear loose fitting clothing. Ever. After a really long hiatus of general malaise and being very unproductive, I’m finally back to myself! 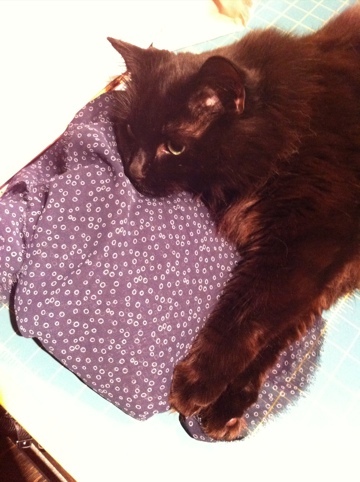 I’m SOOOOO behind on the Truffle dress for the Sew Colette, as I’d only cut out the bodice for my muslin. It’s due today so that means I have to do two projects in April to catch up lol. So today I did the fitting. I anticipated a 3/4″ fba (1.5″ total) so I worked that in right away, and was bang on – yay! 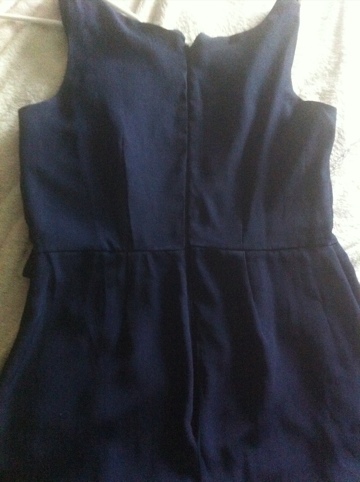 I also had the same back neckline gaping issue as with the Pastille (a full 2″!!) so I had my dear man pin off the excess then at the suggestion of my mum, trimmed off 1″ at the top center back tapering to 0 at the waist on each side, then redrawing the grainline parallel. Worked great! 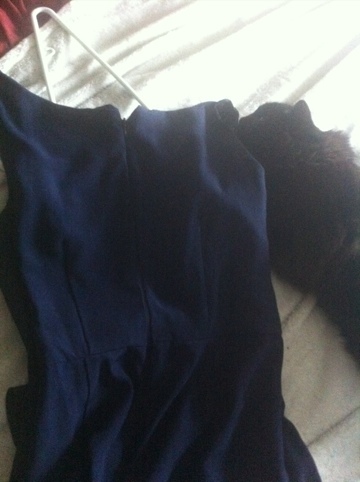 I also made the executive decision to wad my blue chiffon blouse after laughing about the ridiculous fit with my mum. It was unsalvageable I came to admit, so on to greener pastures! !